The present Index to Ccnimemration Volumes, which perhaps represents the very first attempt of its kind, is designed to constitute a useful addition to the bibliographical literature relating to Indology. Divided into Author Index and Title Index, this work has taken into account as many as 129 Commemoration Volumes, The Author Index records, on pp. 1-26 r, 2029 authors from 124 Commemoration Volumes, while pp. 262-280 contain (09 additional entries. 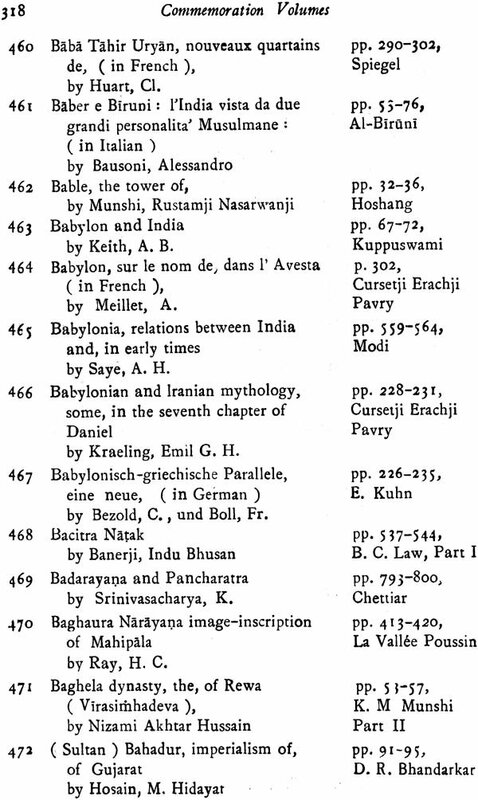 These latter include the entries derived from the five Commemoration Volumes indexed at a later stage as also the entries which were left out earlier through oversight. 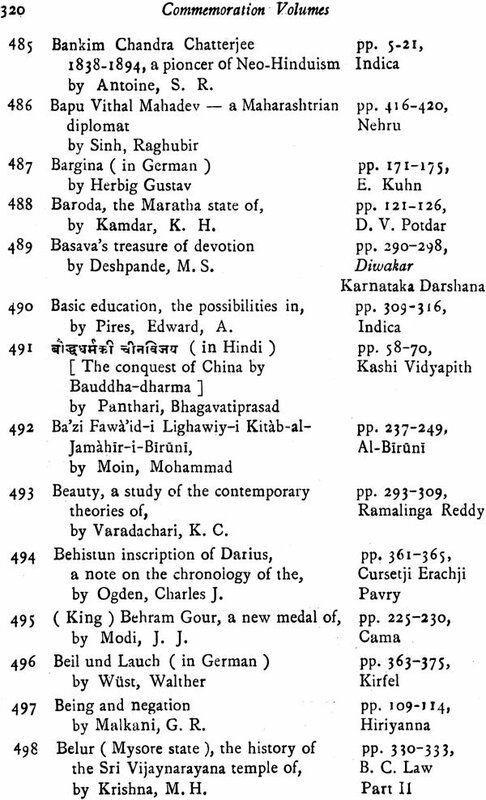 The Title Index records 4644 articles on a variety of subjects bearing on Indology. 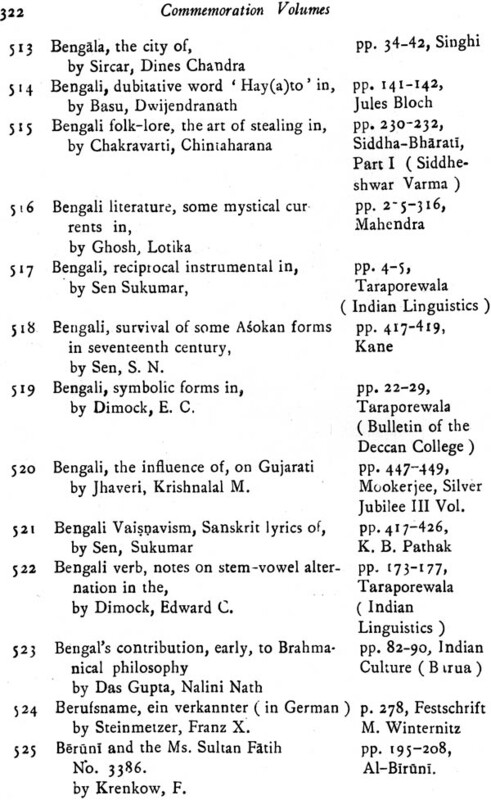 Besides articles in Sanskrit, English, Hindi, and Marathi, this index has registered also those in Gujarati, Bengali, Udiya, Malayalam, and Asamia among Indian languages and in French, German, Italian, and Spanish among European languages. 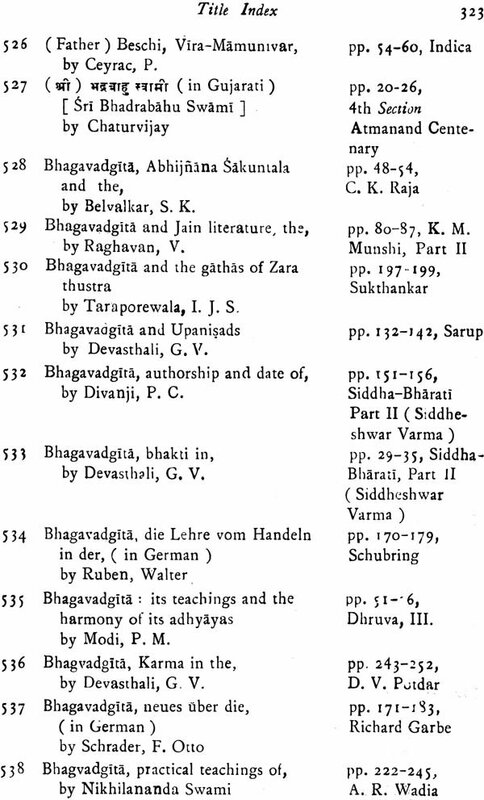 Over 250 Commemoration Volumes containing papers of Indo- logical interest have appeared so far in India and outside. 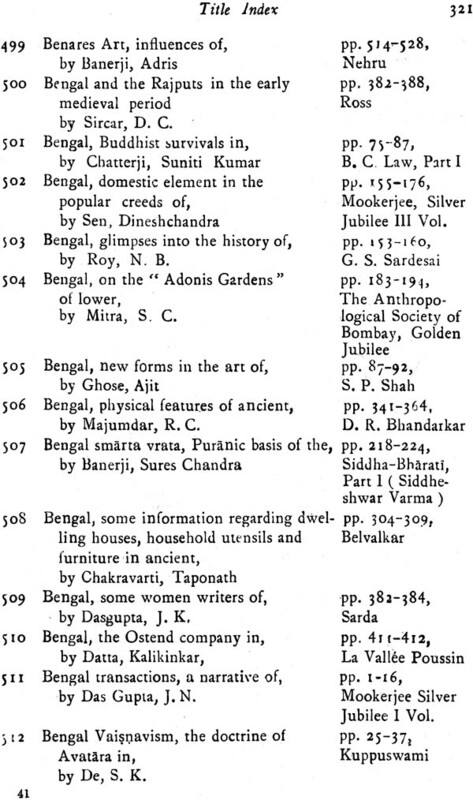 No single library in India, except perhaps the National Library at Calcutta, possesses all the Volumes indexed in the present work. The best thanks of the Bhandarkar Oriental Research Institute art', therefore, due to the libraries which lent some of these Volumes for its use. The earliest Volume indexed here was published in 1888 while the latest appeared in 1957. 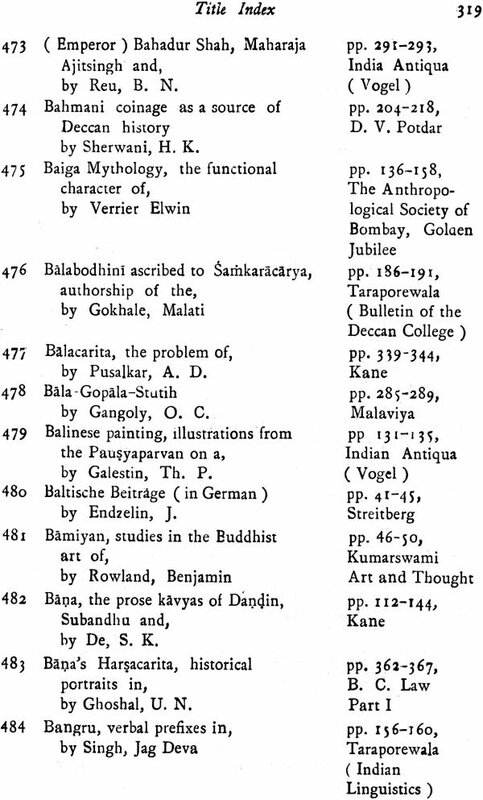 Thus the present Index furnishes a bibliography of Indological research embodied in 129 Commemoration Volumes which have been published in India and abroad in the course of the last 70 years. The Post-graduate and Research Department of the Institute undertook this project in 1956. Since then there had been frequent changes in the personnel of the Research Fellows who were called upon to collaborate in the work in its different phases from the preparation of the index cards to the correction of proofs. This naturally resulted in the lack of proper coordination and the consequent occurrence of some slips, deficiencies, and misprints in this publication. However, an index of this kind has long been a definite desideratum for students of Indology, and the present Index, with all its defects and shortcomings, will, it is hoped, provide that desideratum in some measure.